One season removed from the program’s first NCAA regional championship and an appearance at the national quarterfinals, the Gustavus volleyball team has turned the page and is embarking on a monumental milestone as it celebrates its 50th season this year. 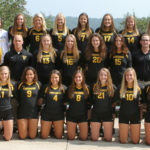 Excitement is building for the anniversary celebration, which will take place Sept. 22, as alumni, family, and friends of the program will celebrate a proud history of Gustavus volleyball. 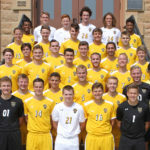 The Gustavus men’s soccer team begins its 2018 campaign Friday under a new regime as Tudor Flintham has assumed his role as head coach. 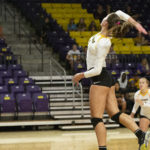 The expectation within the Golden Gustie program remains the same and that’s to compete for a MIAC championship – something this program has done a league-leading 14 times. 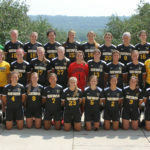 The Gustavus women’s soccer team begins its season this weekend with two contests in California. The first match is versus the University of Redlands on Saturday, then the team travels to Chapman University on Sunday. 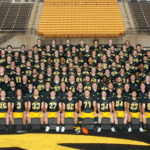 The Gusties return a majority of their roster that went to the Minnesota Intercollegiate Athletic Conference (MIAC) championship game last season, including four of their top six point-scorers and look forward to big things from their youth as they look to make a run in the MIAC again this season. After three weeks of preseason camp, the Gustavus football team is set to kick off its 2018 campaign Saturday in nearby New Ulm, Minn. against Martin Luther College. 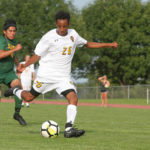 Last season’s pedestrian 5-5 overall record and 4-4 mark in the MIAC for a fifth-place finish, which was hindered by injuries at key positions, are in the rear-view mirror and expectations are high within the Golden Gustie program. 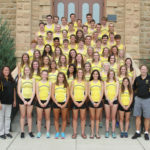 The Gustavus men's and women's cross country teams experienced their first unofficial meet of the season Saturday at the Linnaeus Arboretum by hosting the annual Alumni Meet. 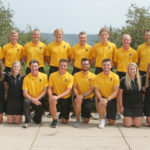 Unlike in years past, the Gusties did not have other collegiate teams competing in its Alumni Meet, so the results are unofficial. 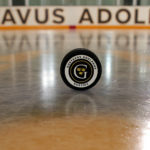 The American Hockey Coaches Association (ACHA) recognized ice hockey players who attained a 3.6 GPA each semester and participated in 40 percent of their school’s games in the 2017-18 season as “Krampade All American Scholars.” A total of 821 Division II-III men and women were announced last week, which included four Gustavus women’s hockey student-athletes and two from the men’s squad.